Karachi (Agenzia Fides) - Catholic layman Anthony Naveed is the only Christian member elected in the Provincial Assembly of Sindh (southern Pakistan). 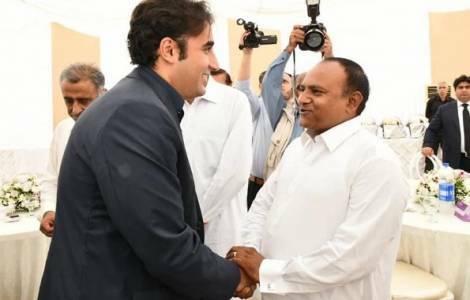 Chosen by the Pakistan People Party (PPP), he will be present in the Provincial Assembly of Sindh in the period from 2018 to 2023. Other political parties have chosen candidates of Hindu religion for the other seats reserved for religious minorities in the same Assembly. As Fides learns, addressing over 500 people gathered in the Catholic Church of Saint Peter's in Karachi, at the end of a specially celebrated Thanksgiving Mass to entrust God his service in politics, Naveed said: "I am grateful to God for having given me the opportunity to serve Pakistan and the Christian community, I am grateful to the President of the PPP Bilawal Bhutto Zardari for entrusting me with this responsibility in the Provincial Assembly". And with tears in his eyes he added: "I am happy to was baptized and confirmed in this Church; I served this Church as a young man and today as a Catholic I am serving this Church as a member of the Provincial Assembly". Anthony Naveed earned a degree in political science at the beginning of the 1990s, working as a member of the "People's student Federation" (PSF), student wing of the PPP in Karachi. He was also an active member of the diocesan Youth Commission in the Archdiocese of Karachi from 1998 to 2005 and represented the Archdiocese of Karachi in Toronto (Canada), during World Youth Day in 2002. After a 15-year political militancy, he was elected Deputy Councilor in the city of Jamshed in 2005 and served until 2010, and in the same city. Thanks to his commitment, in 2016 the then head of the Cabinet of the Inter-religious harmony office in Sindh, Syed Murad Ali Shah, appointed Anthony Naveed as his assistant. Anthony Naveed, speaking to Fides, notes: "I am focusing on the implementation of the provision that provides for 5% of jobs in government offices to religious minorities. I will work to obtain 5 seats reserved for minority students in universities and I will commit myself to the development of religious minorities in Pakistan". And he adds: "I follow the vision of the deceased leader Benazir Bhutto to serve the poor and needy minorities, rejected and oppressed in Pakistan". Anthony notes that minorities in Pakistan face many challenges, such as the protection of their rights and discrimination. And he says: "I believe that the PPP is the only political party that really wants to protect the rights of minorities and works for the development of minorities".